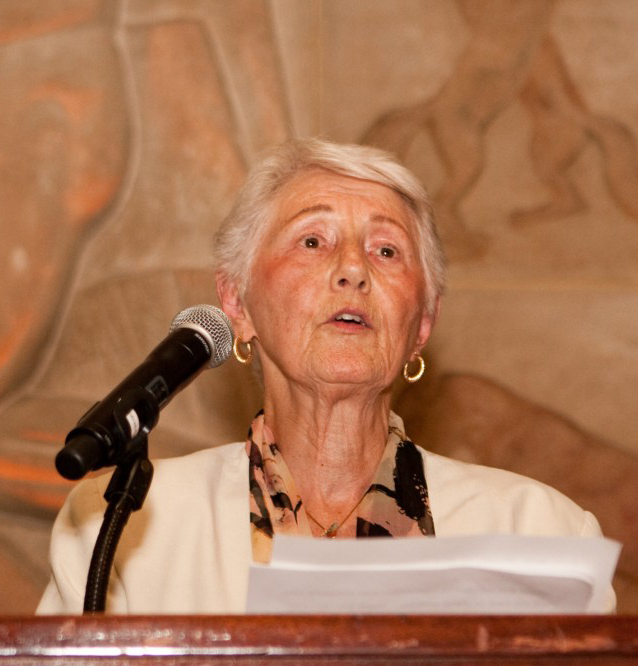 Belle Shayer is the only surviving founding leader of Breast Cancer Action. After she was initially treated for breast cancer in 1984, she was told she was cured. When her cancer recurred in 1988, she felt shattered, frightened, and furious. But she did her homework, studied her pathology report, and told her doctor she wanted a second lumpectomy rather than the mastectomy he’d recommended. He balked, so she found another doctor who didn’t. Belle Shayer turned from breast cancer patient to breast cancer advocate as a result. She is 80 years old, lives in the San Francisco Bay Area, and still advocates on behalf of Breast Cancer Action. I was recently asked to reflect on breast cancer advocacy over the last 20 years. My first thought was that, back in 1990, I never dreamed BCA would still be needed in 2010. When we started out, what made us do it was the fact that nobody else was doing it. Our goal was to let everyone know about breast cancer, to shout about it from the street corners. Even if you didn’t have it, you were going to be touched by it — your mother, your daughter, my daughter, your sister, a friend — someone you knew was bound to have breast cancer, and at some point, you would be touched by it. Twenty years ago, having breast cancer was a family secret. No one knew what the stages of cancer meant: stage 2, 3, 4? When we had to make the horrible decisions — mastectomy, lumpectomy, chemotherapy, radiation — we didn’t know where to go for information to make the right decisions. When I was faced with the prospect of a mastectomy, I had no idea what I would look like after the surgery. I kept asking, what does a woman look like missing a breast? I kept asking, but no one would answer me. Nobody wanted to talk about it. I kept pushing and finally found a plastic surgeon who would show me pictures. While they were horrible, at least I knew how I would look! What’s changed for women with breast cancer over those 20 years? Much has changed. Much has not changed. What has not changed is that same fear, panic, and confusion upon getting a diagnosis of breast cancer. There is the same fear and frustration that, no matter what you do, you may have a recurrence, and it is totally beyond your control. There is still the need for support groups, advocacy, and education. President Richard Nixon declared war on breast cancer, and more than 40 years later, we’re still fighting that war, yet there’s more funding for research than ever before. How is research money being spent? What’s currently being researched? Whose research is being funded? How are funding decisions made? Why isn’t this process more transparent? And then other questions come to mind that need to be addressed. We need to question why corporations do not examine if and/or how they pollute the environment and whether they may be contributing to breast cancer. The statistics (which I cannot cite right now, but you probably can) are still high for those women who are diagnosed because of environmental toxins. Low-income women still do not get adequate health care, and funds are not available for them to pay for child care, housekeeping, healthy foods, resting and recovery time, prescription costs, and treatment options. What has changed is that there is more information and quicker access to it, thus greater awareness. People are no longer afraid to speak out; they willingly come forward to support those diagnosed. ”Lay” people are now consulted, sought out, and invited to participate with state and federal agencies and research groups. Some breast cancer organizations are more willing to work together and with environmental organizations for the common good. It was very hard at the beginning, because we were women living with breast cancer. We were the doers, going to Congress, writing the letters, doing the newsletter, and lobbying for recognition, all while undergoing radiation and chemo. Many of us had kids, husbands, and families, and we were basically the workhorses behind it all. It was very hard to keep the energy going. There was very little money, no such thing as grants at that time, and we usually paid for everything ourselves, the postage, the printing, that kind of thing. It’s hard to do all this while you’re meeting with your doctors, being a wife and mother, reassuring everyone. It’s very draining. Unfortunately, breast cancer has now become a flourishing industry for drug companies, hospitals and physicians, corporations, and retail businesses, which makes me wonder: is there really a commitment to ending breast cancer? Much has changed. Much has not changed. Much remains to be done. I would like to express my tremendous admiration for everyone who is and has been part of BCA. Each one has contributed so much and worked so hard. I am so very grateful and proud.